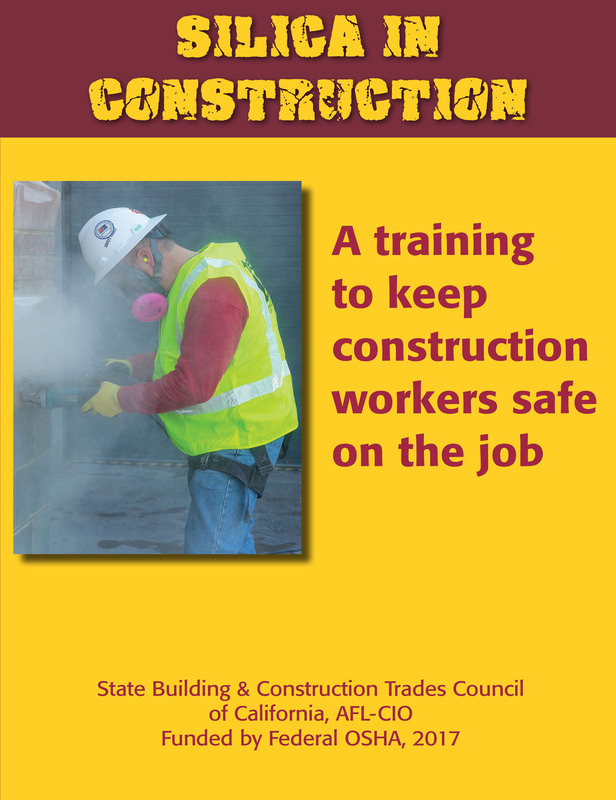 This 2017 SBCTC program was developed to train construction trades workers about respirable crystalline silica including: hazard recognition; health effects; control strategies; the 2016 federal silica standard. These materials are the core curriculum for our Silica in Construction 2-day Train-the-Trainer course. They may be used for non-commercial, instructional, educational purposes only; fees may not be charged for this material. While every effort has been made to ensure information is current and accurate, the SBCTC does not assume any liability for errors or omissions. Note: After publication of this material, federal OSHA postponed the compliance date for the new federal Silica Standard by three months. The new compliance date is now September 23, 2017. (Click here to read the OSHA news release.) This change affects Slide 91 of the PowerPoint and Page 54 of the Curriculum which reference the original June 23, 2017 compliance date. OSHA Funding: This material was produced under grant SH29642SH6 from the Occupational Safety and Health Administration, U.S. Department of Labor. It does not necessarily reflect the views or policies of the U.S. Department of Labor, nor does mention of trades names, commercial products, or organizations imply endorsement by the U.S. Government.